Learn Recover Forgotten Wifi Network in Windows 10. You might have connected to a Wifi network on your Windows 10, 8 or 7 and might have forgotten wifi network. You can get it back from your windows pc easily. There are several ways to connect to a forgotten network windows 10. Either using cmd i.e command prompt or easily navigating through your computer control panel. But this time, we learn how to join a forgotten network in windows 10 using the Sharing Center. Now it is time to look up or Recover Forgotten Wifi Network Windows 10. 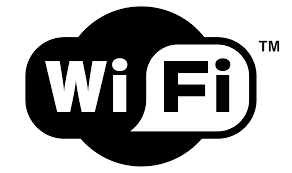 The computer always stores Wi-Fi password in windows ones they have had contact with connection before. So if the computer has connected to the wifi network, you can easily unforget a wifi network. Head to the Network and Sharing Center in the Control Panel. checkbox to view the hidden password. Now you will get back a forgotten wifi network and connect to it again. This is how to Recover Forgotten Wifi Network Windows 10.